In the face of gender discrimination, Verna Williamson Teller of Isleta Pueblo ushered in a new era of leadership, becoming the first female Pueblo governor in 1987. By spearheading passage of a constitutional amendment requiring tribal leadership positions to be elected, as well as fighting to make tribal council meetings more open and accessible, Verna ensured that women's voices were not only heard but amplified within the Pueblo community of Isleta. Following her tenure as governor, Verna continued to serve Isleta Pueblo as Chief Justice, President of the Tribal Council, and council member. Under her watchful guidance, Isleta Pueblo became the first tribe in the United States to assert their right under federal law to establish water quality standards to protect their community. Verna went on to serve as project manager for the Native Peoples-Native Homelands Southwest Initiative, a project sponsored by the National Aeronautics and Space Administration (NASA) to examine the effects of climate change on Native Americans. As Project Director for Tribal Tobacco Health, Education and Outreach, Verna helped develop cancer prevention programs through Indian Health Services, the Centers for Disease Control, and the American Cancer Society. 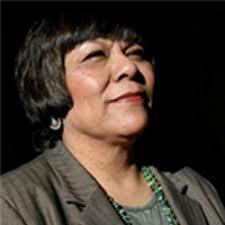 She also ran a consulting business, ATV Enterprises; served as a member of the All Indian Pueblo Council; was named ``Indian Woman of the Year;'' and has received numerous other accolades. Teller, who served as Isleta governor from 1987 through 1990 as Verna Williamson, was the president of the Isleta Tribal Council for eight years. It is astonishing to think of all that Verna has accomplished in her life. In the face of adversity, discrimination, and uncertainty, Verna's determination to lead her community never faltered.